Earn $24.99 in Rewards credit (2499 points) What's This? The color/size you selected is a special order item but is usually available within several days. We will contact you with order confirmation. 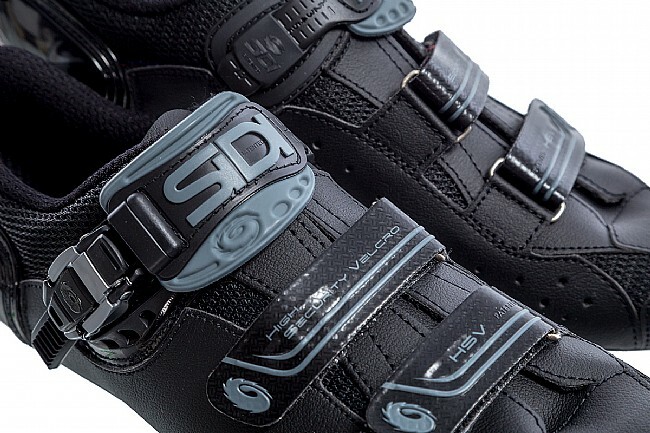 When it comes to reliable, high-level performance, the Sidi Genius 7 Carbon Road Shoes are second to none. 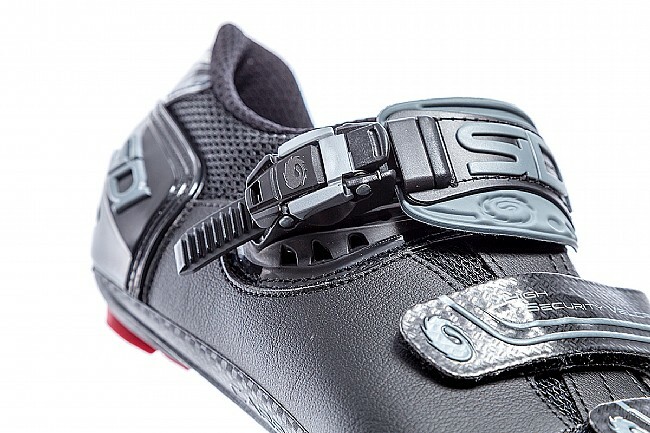 Now on their seventh iteration, Sidi leaves the tried-and-true design of the Genius largely the same, making unobtrusive performance upgrades so they feel just as familiar as the pair you've been riding for seasons. 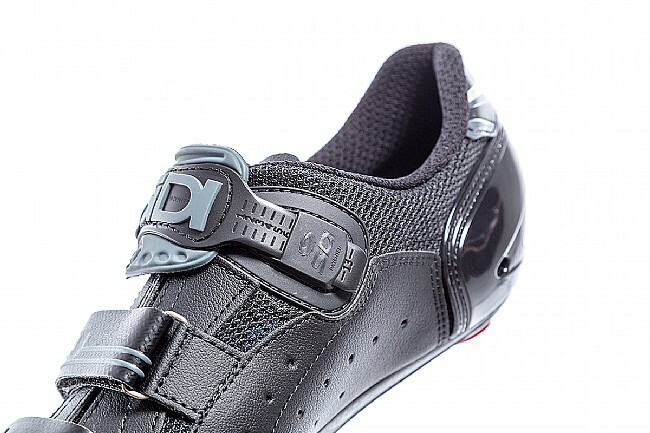 On the bottom, a Millennium 5 carbon / nylon sole is stiff enough for even the most powerful riders, and your watts go right into the pedals with two Velcro straps, a ratcheting Soft Instep 2 top-foot strap, and Sidi's molded Heel Cup keeping your feet securely in place. The upper features Sidi's Microtech abrasion-resistant material to keep up their legendary reputation for durability, and of course, the anti-slip heel pad as well as the buckle are user replaceable to extend the life of the shoes even further. Compatible with standard 3-bolt road cleats. I use this product for cycling. The top strap is a little tough because of the surgery I have had other then that is shoes are perfect. Very nice shoes. Have so far worn them only on the trainer, breaking them in. But do you have any idea how hard it is to get shoes in a size 5015? And such an iconic shoe. Glad to have found them. Great price too. I'm on my second pair of Sidi's and the first pair lasted 7 years and the current pair has developed problems after 2.5 years. From my perspective, quality is in decline. The first sign was how, after just 12 months, the plastic coating across the insignias began to break up, peel, and fall off. Then the replaceable heels, which lasted 5 years on my first pair, also had to be replaced after 12 months. While these lapses in quality are minor, the real problem developed at the start of the third year, when the right shoe seemed to contract, and for the first time I started developing foot pain. I also noticed, around this time, that the tongues of both shoes started to deform, losing their shape, and stretching out. I thought for sure I would get, say, 4 years out of my second pair. Now, they have become a problem after just 2. 5 years. FWIW, I see this generally across the bike accessory space-quality of everything is in decline, and durabilty has declined. There are exceptions Chrome bags are still bulletproof, for example. Gonna have to take a big pause here, before buying a third pair of Sidis. Excellent as expected but no heel adjust. Stiff sole and very very lightweight shoe. Only miss is the adjustable heel cup. I really like that final detail in fit adjustment for me with narrow feet. All else is awesome. The best Jerry, the best! Very comfortable and tighten up quickly and securely. After a crash last year, needed new shoes, bike, helmet, gloves, pants, shirt, glasses, even bottles were broken. These shoes were the right color, size, look and feel, most of all, a solid shoe as I ride a good deal. My foot, leg, hip, shoulder, all hurt. These shoes fit to size I think. Hold me as other SIDI's have done. I do like that it is a bit softer then my crashed shoes, just a bit, I need that. All in all, a great shoes, well made, style, performance you will feel first time out. 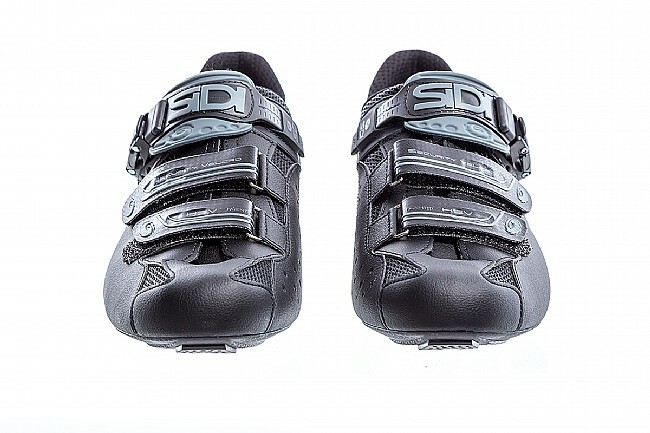 SIDI makes shoes that last, can take a beaten (car crash), hold up very well. Great shoes. True to fit. Very comfortable. This is my second pair of Sidi shoes. After 10 yrs riding with my first pair I finally upgraded. Couldn't be happy. True to fit and very comfortable. Like wearing a pair of slippers. 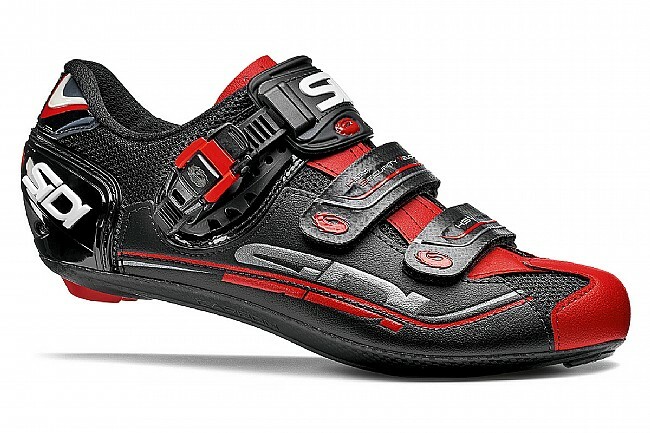 Will never buy any other brand shoes than Sidis. 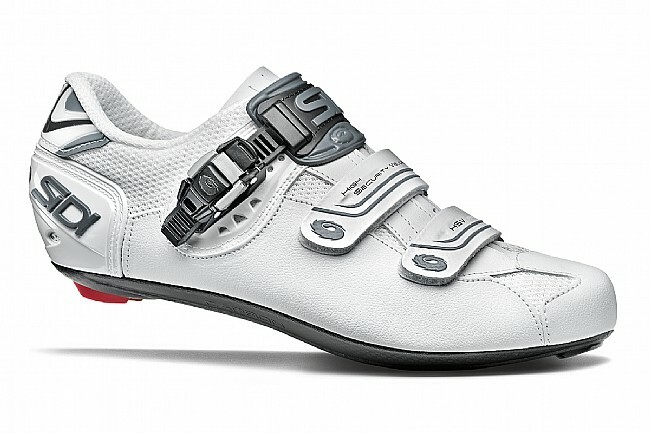 I finally bought some white Sidi Road Shows due to the fantastic 1-Day Special Pricing. I am the envy of all of my fellow riders. love the stiffness & the adjust-ability of the straps on the fly, wish I'd ordered the 47 instead of the 48 for my US13-D (normal width) feet because the wide toebox has meant I'm really cinching the front & middle straps down tight in order to prevent lateral movement. It's comfortable enough, so given that I wore them for a while to figure that out, I won't return/swap the shoes - maybe when I wear these out in 8-10 years, as other folks suggest, I'll get the next size down. ) Pricey but so far I'm pretty happy! I call them slippers They're that good. 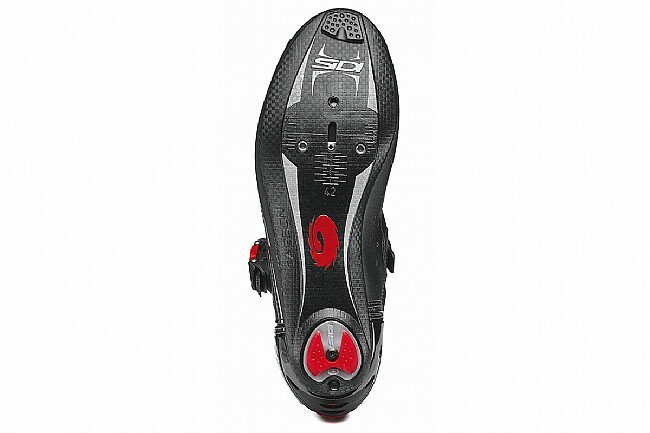 The quality and durability of Sidi shoes makes them well worth the money. I have a pair for both mountain and road, and they fit like a glove. My mountain shoes are over 10 years old and still are in great shape! 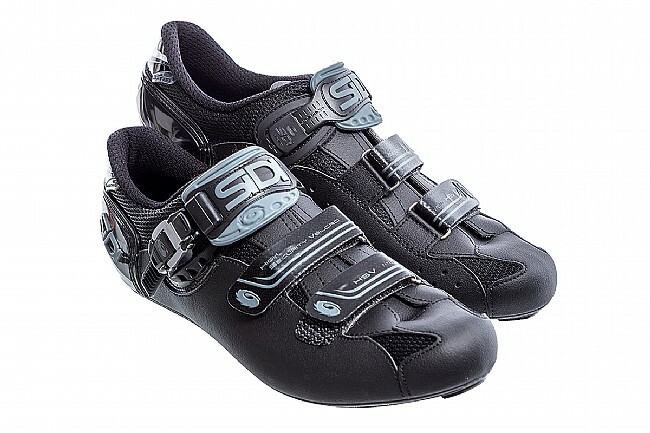 My last pair of Sidis lasted me almost a decade, I figured time to grab a new pair. I've tried quite a few low to mid-range road shoes and these are hands down the best out there. I love how these shoes expand over time to fit your feet and the super stiff soles. Also, the toe box is fairly wide, which for me prevents foot numbness. 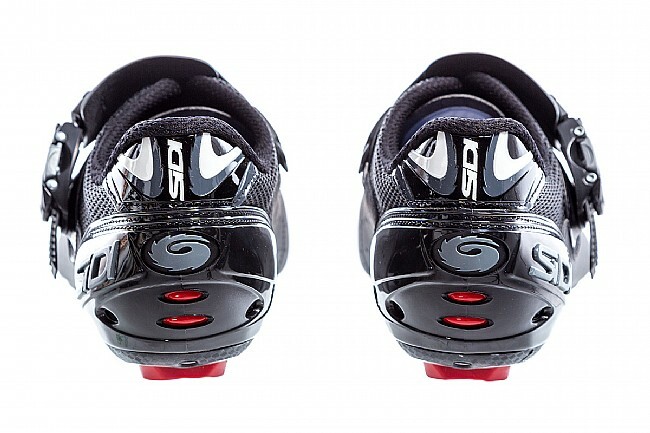 I've ridden Giro shoes as well and find the toe box entirely too constricting. The sizing can be a little different for each person (duh), but Sidi suggested I use size 48 for my US 13 feet, but 48 was too big and 47 fit perfectly. These SIDI shoes were perfect for me. I wear a size 15AA and USUALLY end up with the black wing tips rather than the technical product I'm looking for.. I ordered the 50 and 51's and kept the 50's due to the better fit. Good workmanship and features! Thanks WBW for carrying stuff for us hard to fit folks! 3 of 7 customers found this review helpful. I've been wearing Sidi Genius shoes for many years now. 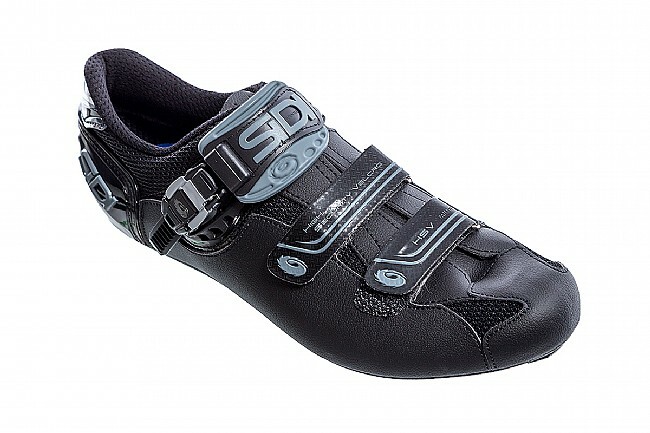 The Sidi Genius 7 sole seems to be a bit stiffer and the leather heavier than the Genius 5 I was wearing. I like the sole stiffness and I wouldn't know that I was wearing new shoes accept for an initial bit of leather stiffness than disappears as the shoes are broken in (I've got 500 miles on them now and don't notice any difference). I prefer the clamping system on this shoe design. I'd probably still be wearing my old ones if I could find replacements for the Velcro straps. I expect to get a lot of miles out of these. Great shoes. I have around 500 miles on them so far and zero complaints. My old Sidi Genius 3s were still serviceable but getting a little scraped up after a few crashes. And the velcro closures straps over 7 years time get a little weaker at securing your middle foot area. So it was time to replace them. On the Genius 7 the uppers were a bright red that made the shoe more attractive. Thats not shown in the above picture. 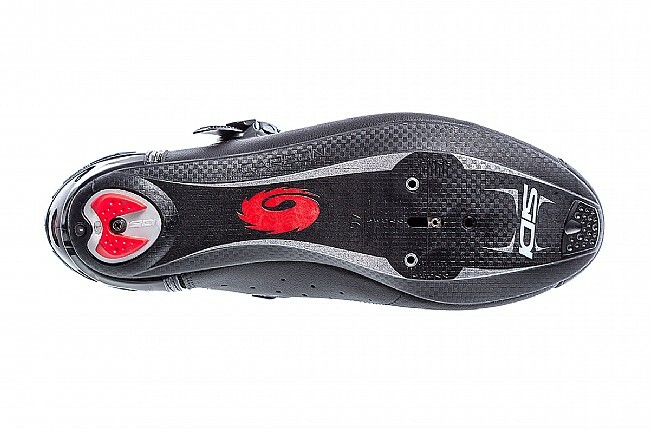 I've been riding with Sidis for 30 years and their shoe fit my feet better than any thing else I've tried. When you find a sale on them, you should give them a try. 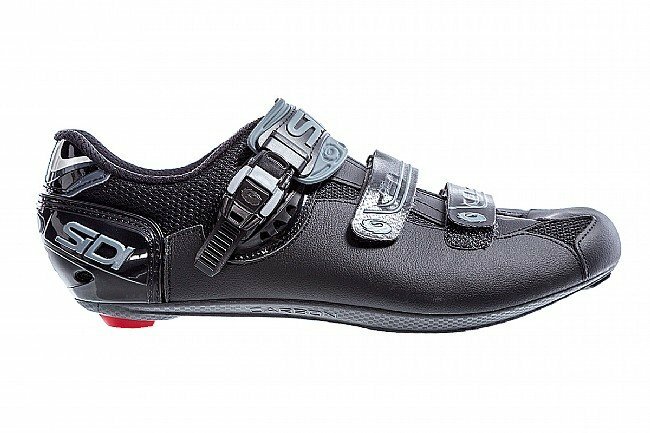 I have been using the Sidi Genius 7 cycling shoe for many years including my winters in Florida and also during my time up north. If i manage to get 4 years out of them, or even more, with minor changes to the heel piece, then I consider myself lucky.